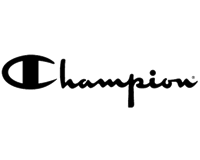 Classic Champion, which was popular throughout the 90's, is undergoing a revival. With their classic logo and style, they have become a competitive newcomer in streetwear and sportswear. At Hatstore, you will find Champion caps from their latest collection. Champion has also collaborated with New Era, meaning that many of their caps are made with New Era’s comfortable fit and quality. Find your new Champion cap below - fast delivery from our own warehouse!